Last week's much needed rain helped our field trip garden and rye maze double in size...just in time for today's spring education and outreach season kickoff. The garden isn't the only thing that's growing. Our education volunteer pool has also grown. Winter volunteer recruitment was very successful. We welcome six amazing new volunteers that have now completed the application, orientation and training process. They are ready to start working with students and we are excited to have them on board. Dr. Roslynn Brain, Assistant Professor and Sustainable Communities Extension Specialist from Utah State University will be at the Center March 17-19. She will conduct a 3 day train the trainer workshop for her sustainability youth camp called Sustainable You.The program is geared grades 4-6. Our new intern, Chris Massa, will deliver the week-long camp at the Center summer 2014. The training is open to RECs, 4H and community partners. Contact sbmiller@ucanr.edu to attend. Preparations are under way for May 8th UCCE-Ventura County: A Celebration of Science and Service. 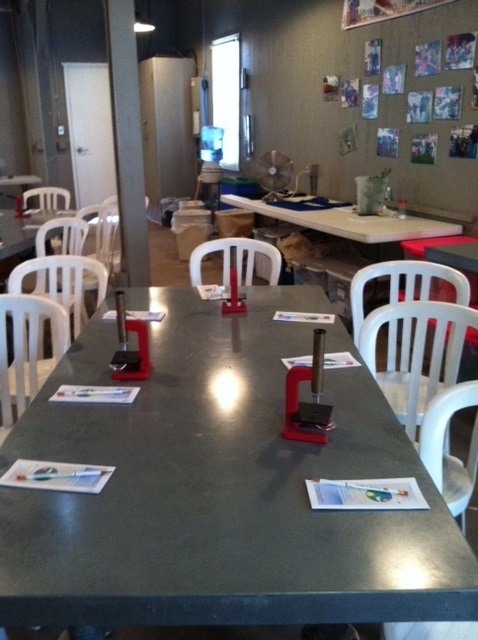 Self-guided activities...preschool to adult will be available throughout the day at HAREC. All participants will also be encouraged to participate in a state-wide research opportunity to collect data using the computer application developed by the Centennial committee. The central themes will be water, food, and pollinators. More details to follow, stay tuned. Pumpkin Pumpkin, a beloved children’s book by Jeanne Titherington came to life on October 11th and 18th. 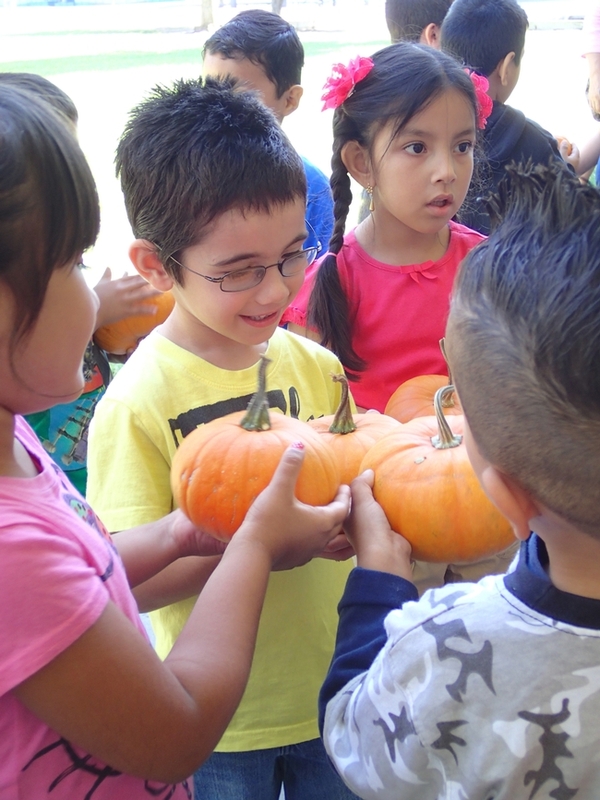 HAREC hosted Kindergarteners for a new fall field trip experience. They came in cars and busses ready to enjoy the literature based journey of a pumpkin from seed to pie. Herbi, our seed puppet, kicked off the program explaining the parts of the plant and what plants need to grow. 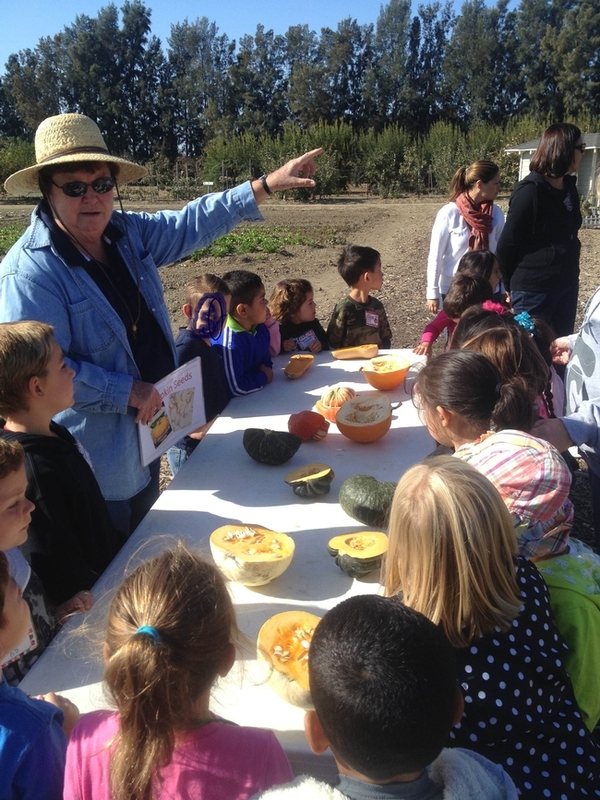 A reading of Titherington’s book, sensory table and raised beds filled with a variety of winter squashes, cooking demonstration and sampling of Pumpkin Pie Dip were some of the activities. Parents eager to find easy, healthy, kid-friendly snack ideas welcomed colorful take-home recipe cards and the nutrition message—winter squashes are an excellent and versatile seasonal choice that fits nicely into MyPlate providing plenty of Vitamin A and Fiber and can help meet the goal of making half your plate fruits and vegetables. After a hayride tour of the REC and stop at the mini pumpkin patch, the morning ended with plenty of physical activity—running up, down, and the through the hay pyramid and maze. Clutching their small orange orbs, students left with big smiles. Teachers appreciated how much learning……and fun was packed into a couple of hours. Today is the first day of spring. 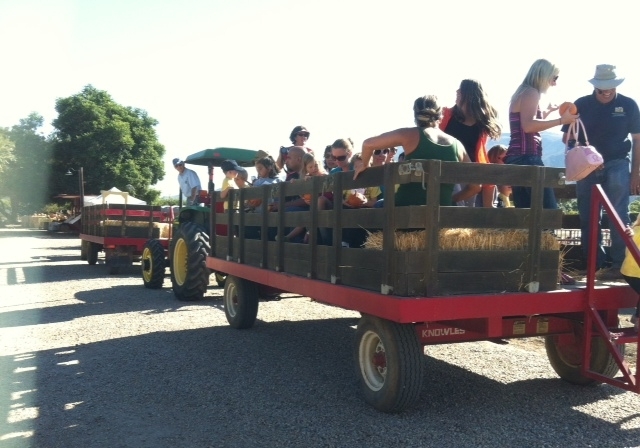 It’s a busy time at the UC Hansen Agricultural Research and Extension Center (UC HAREC). 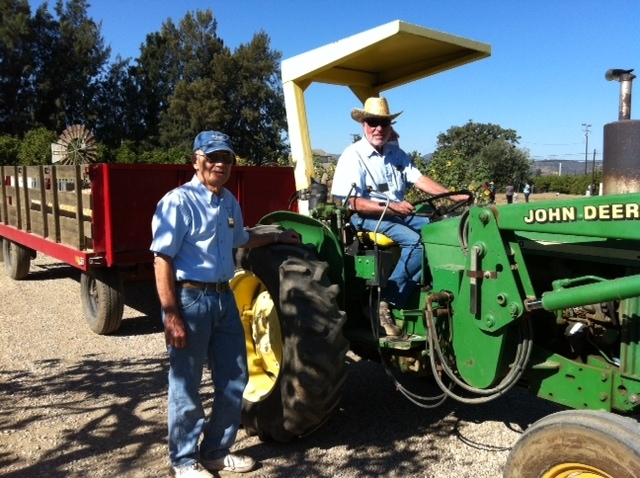 Garden volunteers and farm staff worked countless hours preparing the farm over the winter. The fields and gardens are flourishing and the sounds of children fill the air. Yellow school buses are a welcome sight at the Center. 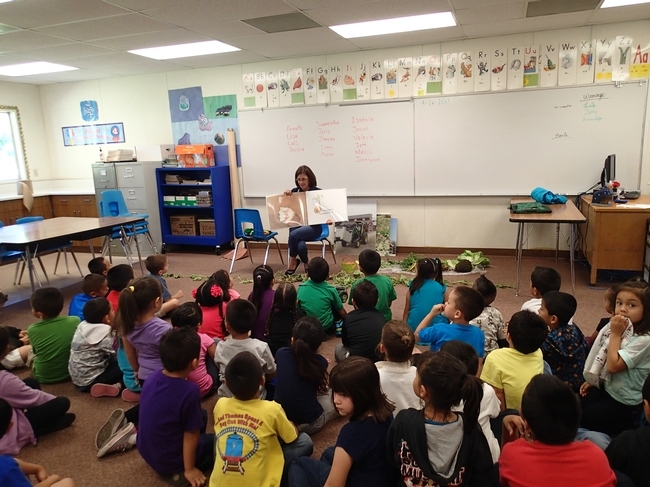 Over 1700 Ventura County youth grades K-3rd will participate in the 4-H Farm Field Trip and Classroom Outreach Program that kicks off in March and runs through the end of May. Specially trained and dedicated volunteers work alongside staff to deliver fun and hands-on agricultural based lessons. 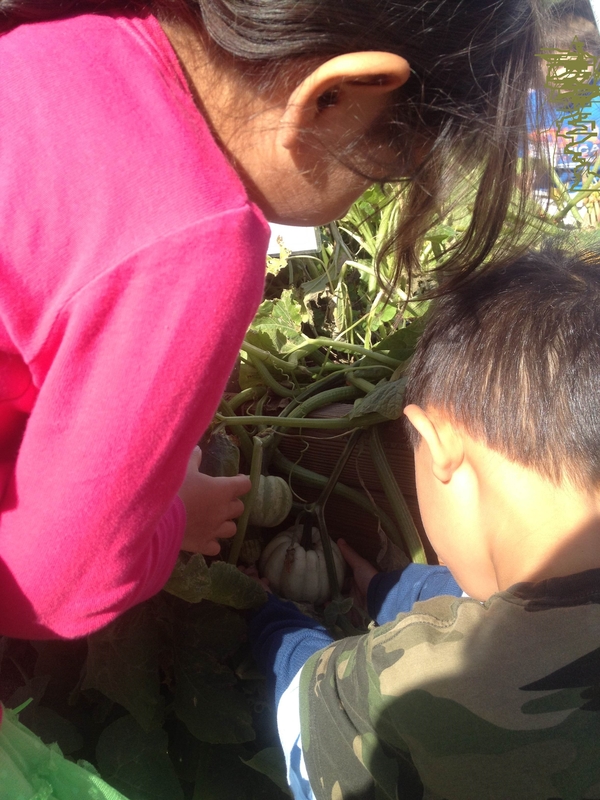 For many Kindergarteners, this is their first time on a farm. Getting a glimpse of where food comes from, planting a seed and learning what makes it grow are unforgettable experiences. 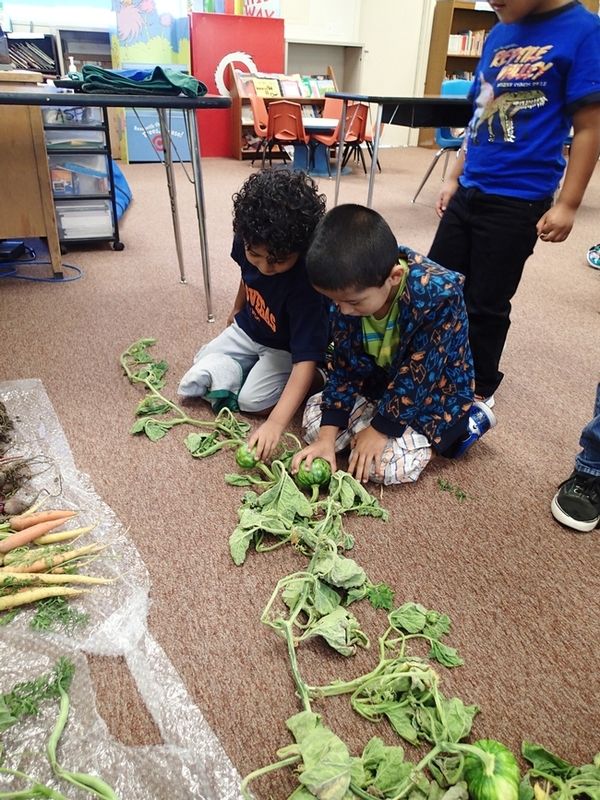 Older students delve deeper into plant growth and development, discover the important role pollinators play in our food system, and learn about the rich agricultural county where we live. Picking and sampling farm fresh vegetables such as beets, carrots, sugar snap peas, and lettuce are favorite activities with all ages and a great way to introduce MyPlate, the newest USDA guide to healthy eating choices, and encourage daily physical activity. 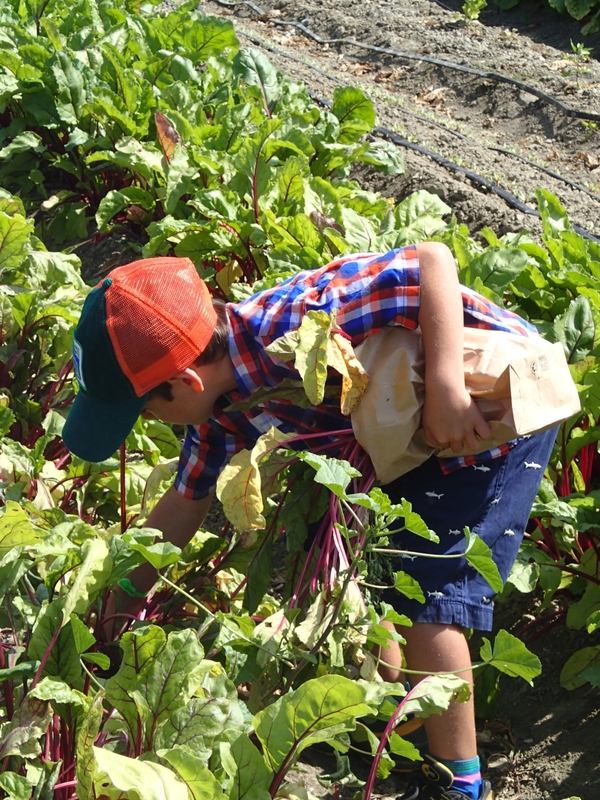 What can be better than getting your hands dirty, smelling the rich Santa Paula soil, and eating vegetables you helped harvest? Children aren’t the only visitors. Over 300 parents and teachers will visit, learn, and munch alongside youth. The cost of buses makes a trip to the farm prohibitive for many schools. 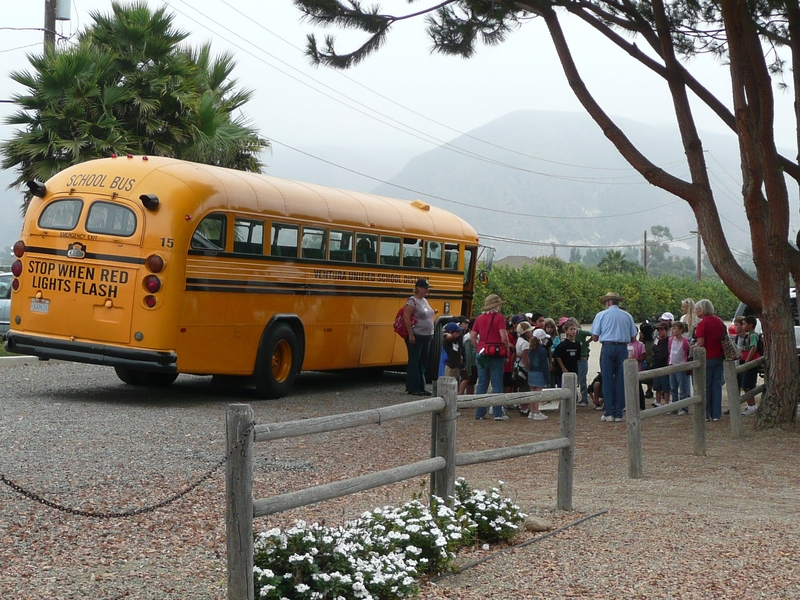 When visiting the farm is not an option, lessons delivered in the classroom bring the farm to life. 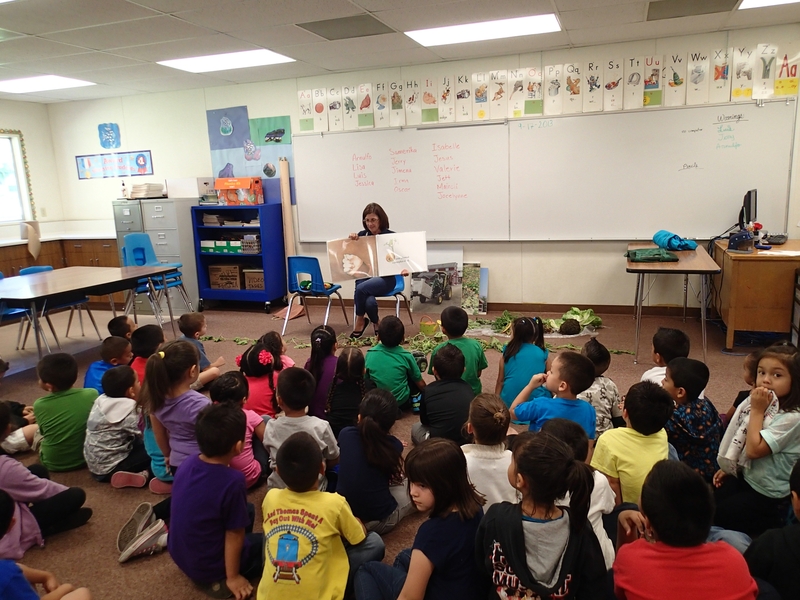 The 4-H Classroom Outreach Program is an opportunity to learn about agriculture without leaving the school grounds. Yes, it’s a busy and exciting time at UC HAREC.